Home	> Insiders	> Helen E.
I started on the Graduate scheme as a commercial manager in stores and although I loved the contact with customers I soon realised that lots of decisions were made in Head Office. 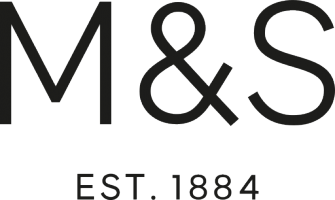 There are so many opportunities in M&S for different career paths, but I knew I still wanted to work with product, so I moved to work in a buying dept as an Assistant Merchandiser. I was responsible for managing our product from supplier through to delivery in stores. It also allowed me to travel across the world to visit suppliers and bring the process to life. I was working as a Merchandiser when I got the opportunity to work on a project launching a new Merchandising system. This opened my eyes to other jobs and led me to take up a new role as Business Implementation Manager which meant liaising between the project team and the buying depts to ensure that our new systems landed well. I developed lots of new skills and realised that this was an area that I loved so moved on to a new role of Subject Matter Expert which was entirely on the project side. I now develop the actual systems, getting involved in the design and making decisions about how we will work as a business in the future. I am the product owner for the Sales, Stock and Intake (SSI) system that all Merchandisers use to plan their buys and place their intake with suppliers. I work with a dedicated IT team and members of the Merchandising community to develop and deliver the SSI on a new IT platform which will allow us to design lots of great new functionality in the future improving the way that we buy. On a day to day basis I provide guidance on which new functionality to prioritise building, liaise with our user community to agree the look and feel of our new system and test the new functionality that has been built. I ensure that we are meeting our critical path dates in order to deliver the system on time and in budget. I also have to make sure that I keep up to date with developments that other teams are working on and ensure that we are in line with our forward strategy. No day is ever the same, there's always a new challenge to solve! Working in Supply Chain Development means that there are lots of opportunities to get involved in all areas of the business. Every day is different and we get given lots of different challenges to solve for the business. Getting together as a team and coming up with a solution that saves the business time and money and delivers something better for the customer is very rewarding. Working on the design of new systems is also exciting as you are able to come up with solutions to long standing problems. There is nothing better than training out a new system and seeing users excited to actually start using it. Explore all opportunities and trust your gut feeling! I have had a number of different jobs at M&S and I can honestly say that I never thought I would be doing the job I am now when I started. Some of those jobs I've enjoyed more than others but in each one I've learnt something new that I can take to the next. I always thought I would stay in Merchandising and so when I was asked to take on a secondment to work on a project I wasn't happy! I can honestly say that it was the best thing that could have happened. It opened up a whole new world of jobs that I hadn't previously considered or been aware of. I've been able to use my experience in Merchandising but also learn lots of new skills and make new contacts. Be open to every opportunity you're given and use that to learn and move forward. The most important thing though is to trust in yourself, if it feels right then go for it! The achievement I'm most proud of is delivering the update of our Sales Stock and Intake system to all our Merchandisers. It was a great experience as it was a very small team and a very small budget but we managed to successfully rollout to all depts in a very short time and scored the highest positivity score of all system rollouts. As there were only a few of us working on it I got to be involved in every aspect from designing new screens to writing training material and working with our pilot departments to make the system even better. Can you please share suggestions or tips for being the best merchandising admin assistant? How is your feeling throughout the years and what do you think is the biggest difference between ten years ago and now?